Ever been in the right place at the wrong time? Unfortunately, I have done exactly that so many times it's hard to count. For example, I can testify that 5 minutes before the craft store closes is not a good time to frantically run in and dash to the back of the store, even if you are in desperate need of hot glue sticks. There is a good chance that the store clerks [bless their hearts having to work the closing shift] will glare at you funny and wish you death with their eyes. After that, the quest for craft supplies only gets more tense. Recently, I went to another right place at the wrong time-- a right place that didn't involve shopping for craft supplies or waking up early. In fact, this time I had the time so wrong I was 24 hours late. No, I wasn't going to school and it wasn't the Black Friday sale at Forever 21. It was my friend's Birthday party. I remember the day I received the invitation. I was busy cleaning my room browsing Pinterest and searching the house for ice cream when a tiny scroll sealed with purple wax was delivered to my doorstep. I opened it up and was pleasantly surprised to discover that it was not just a birthday party invitation. It was a full-costume masquerade birthday party invitation. With dinner. I glanced over the date and time and noticed that the event would take place on a Friday night. After making sure I was free I hung the invite on my fridge. Still having two weeks before the big day, I returned to my summer activities and soon forgot about the party altogether. A week later I noticed the invitation once more. One week later, I carefully straightened my hair, styled it into a half-up do, tediously applied my make-up, and dawned my ballgown. Feeling all dolled up and ready to go, I asked my Mom and Grandma to take a picture of this momentous occasion. "Did you check the invitation to make sure you have the right day and time?" My Grandma wisely counseled. "No," I replied, "I don't need to do that. I'm positive it's today." After a nice drive through the country we came to the house the party would be held at. I grabbed my things and walked up the driveway feeling as regal as a queen. But something was odd. I knocked on the door and a very confused Dad answered it. His face had "who is the kid and why is she wearing a prom dress" written all over it. "Hi. I'm here for the birthday party!" I hopefully said. "I'm sorry, but the party was yesterday." He sympathetically stated. After an exchange of awkward glances, I mumbled an embarrassed apology and walked my beet-red self back to the car while mentally preparing myself for the awaiting fifteen minute drive of shame I would face going back to my home. So what does this have to do with anything? I'm pleased to inform you that you get to hear an opinion that has never been stated before. Are you ready? Introducing: Sarah's Dating Doctrine! I think that sometimes people do the right thing at the wrong time. It's funny to me how everybody in High School is in such a rush to get a boyfriend and date exclusively. Where I go to school, single people are definitely in the minority. But I'm a proud single young lady. You want to know why? I think pairing off into couples at this age is like showing up to a birthday party at the wrong time. Dating is good. We are supposed to get married someday. It's part of the plan. It's supposed to happen. However, High School isn't the time for completely pairing off. Did you hear that? Those words are not mere suggestions. The For the Strength of Youth Pamphlet contains commandments from living prophets that were inspired specifically for our generation. It's like tailored scripture. So why don't we listen? Because birthday parties are fun! Piñatas are cool! Cake tastes delicious! But in the end none of those things are fun if you show up to the party at the wrong time. A lot of embarrassment and awkwardness could have been prevented if I had just double checked my invitation and made sure I had the day right. In the same way, a lot of heartache and sorrow will be prevented if we listen to the counsel of our prophet and wait until we are older to split into pairs. So once you're 16 go to prom, go on dates, and have fun, but do it in groups for now. High School isn't the time to weigh yourself down with the burden of premature relationships. It's the time to enjoy developing your own talents and for getting to know lots of different people so that some day you'll be ready for that special person. 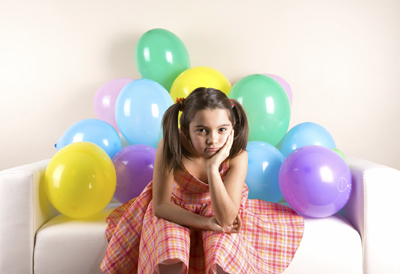 Don't show up to the Birthday party at the wrong time, no matter how tempting that cake and ice cream is. Trust me, it's worth the wait. Oh, goodness, I loved that! Perfect analogy! Thanks, Talia! I'm glad you liked it! This is an amazing article!!! Great Job, Sarah!! !